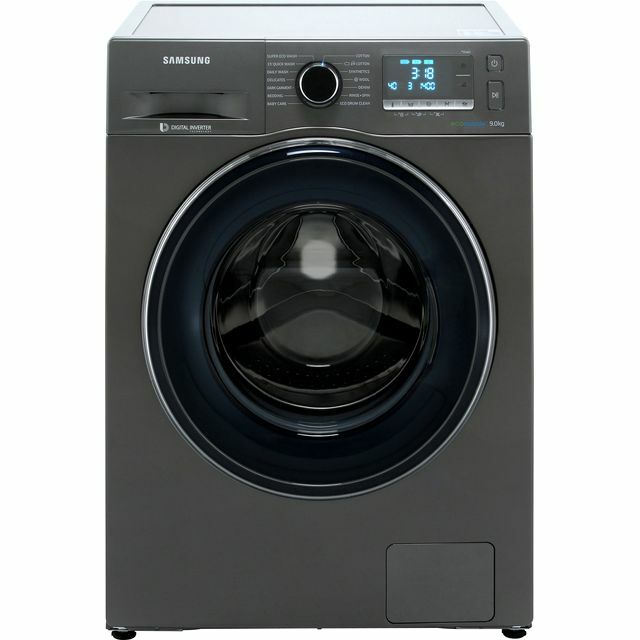 Give your clothes incredible care with this washing machine from Samsung. It’s perfect for medium-sized households as it has a 7kg drum capacity and an A+++ energy rating, so it’s kind to both your utility bills and the environment. The Bubble Soak feature can be used with your favourite wash programmes and is great for loosening stains, as it bathes your clothes in delicate bubbles to lift away stubborn marks. 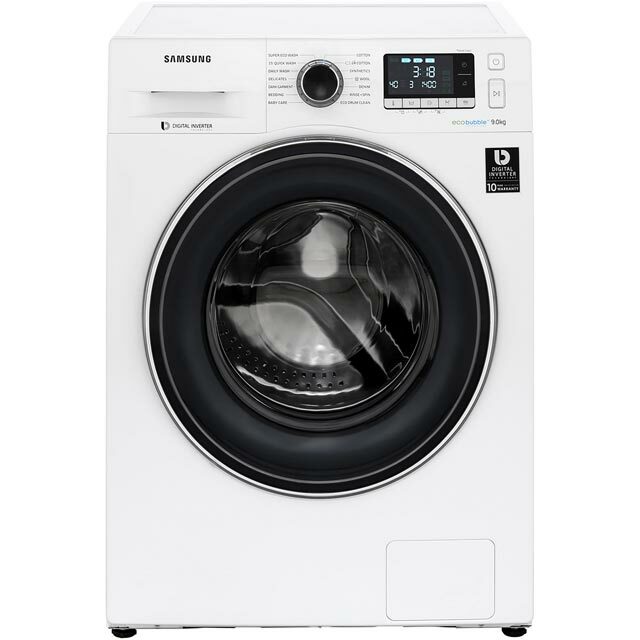 If you need clothes in a hurry, this model has a speedy 15 minute quick wash that will refresh a small load in no time – perfect for cleaning your favourite outfit when you’re short on time. 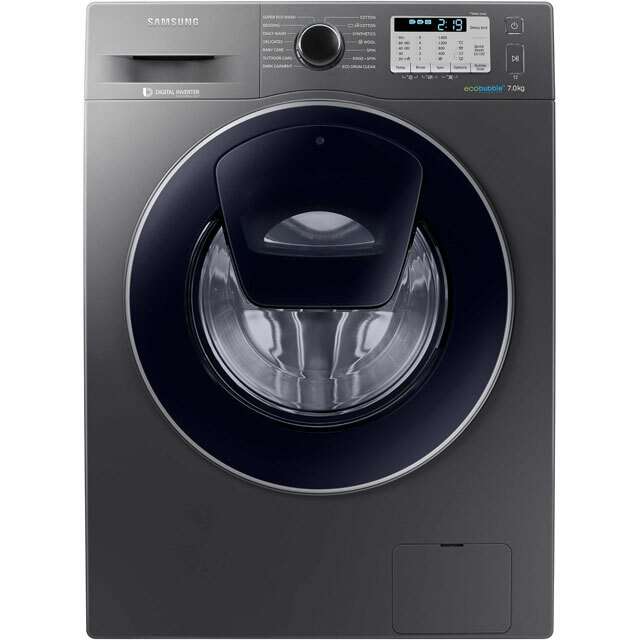 This is a great machine in terms of controls, washing and value for money. Such an improvement from our hotpoint machine! Generally very pleased. It's quiet and washes well. However, if it senses an unbalanced load, it won't spin straight away, at least not until it's balanced - annoying. 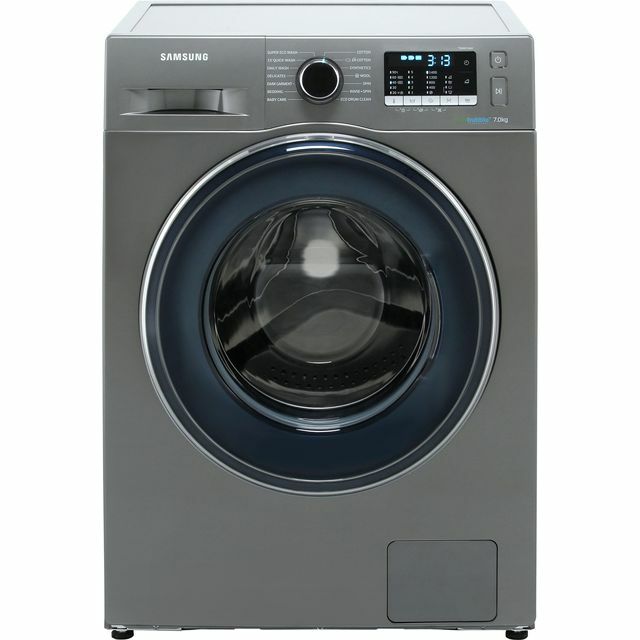 Brilliant washing machine really easy to use looks great and gives fantastic cleaning results. Lovely quiet operation hardly notice you have it on. Definitely recommend it. Look and feel is great quality! Loads of cycle options, super quiet and enjoy the little tunes! 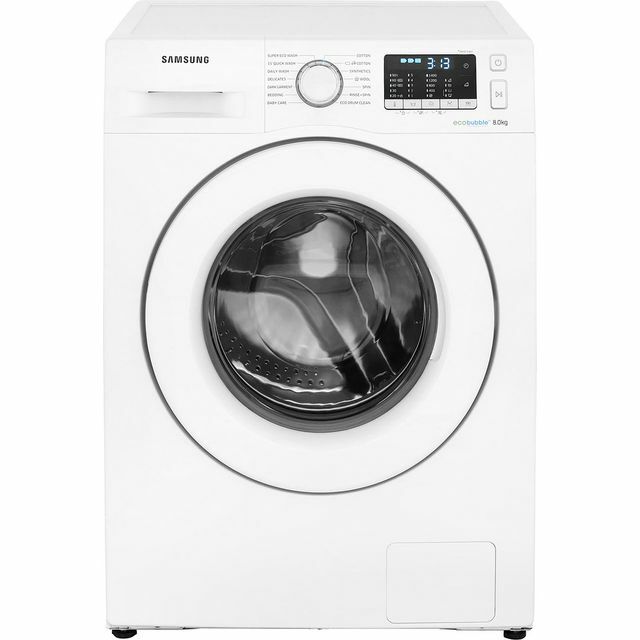 After having a Samsung washing machine before for over 9 years without a problem I opted for a new one. Excellent machine I couldn't be happier with the performance. There are extras on new machines such as delay finish and bubble soak and more. I recommend this machine 100%.